The qTest 7.9 release is all about test automation. Recently we announced a partnership with TestPlant, one of the leading test automation companies in the industry. Below you can read more about this exciting partnership and other new features that are part of our latest qTest release. QASymphony is proud to announce a new technical alliance with TestPlant, makers of eggPlant functional. You can read more about it in our recent press release. With qTest’s new integration to eggPlant functional, customers get best-in-class test case management and best-in-class automation. With this integration, you receive and display eggPlant testing results within qTest reporting. Click here to learn how to setup the eggPlant integration with qTest. Save your spot in the upcoming webinar about the qTest eggPlant integration featuring TestPlant’s CTO Antony Edwards. Many organizations have adopted qTest to replace HP Quality Center, but they have invested many years in QTP/UFT scripts that they are not ready to replace. 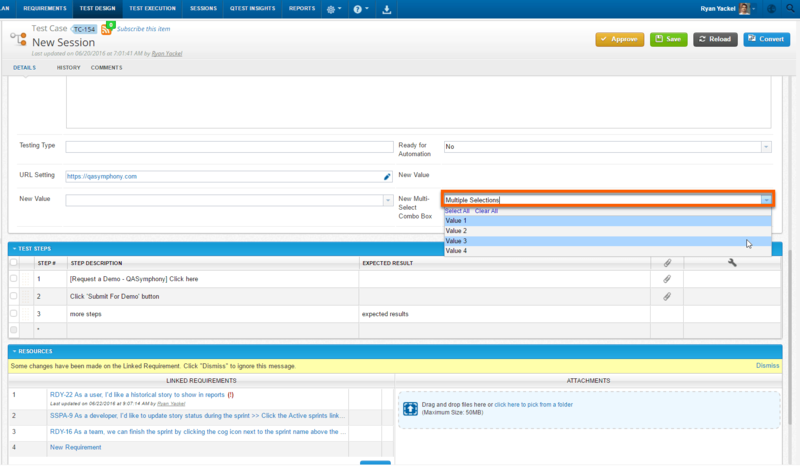 For those customers, our new UFT integration will allow them to continue to use those automated scripts with qTest. With this integration, you receive and display HP UFT testing results within qTest reporting. Learn more in the qTest 7.9 Release Notes. Previously, qTest supported getting test results from JUnit test suites by class. Now we support both method and class importation. This requires that you update the qTest Jenkins plugin to version 1.1.6 to configure your importation method. 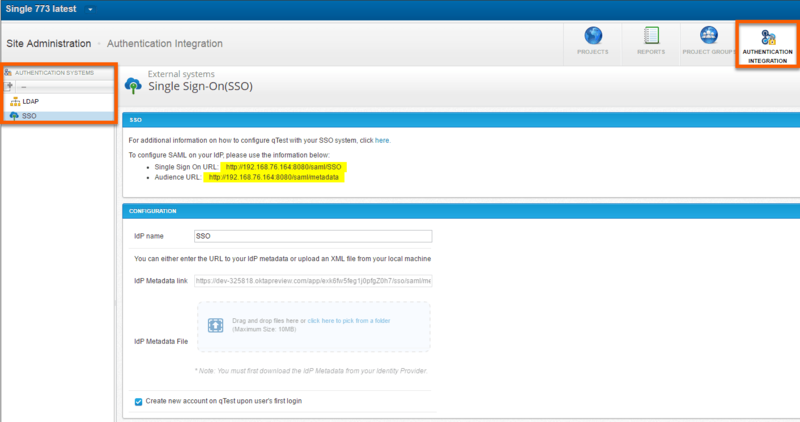 This feature allows site administrators to integrate qTest with a SAML2 Identity Provider (IdP) so users can login to qTest with their SSO credentials. Click here to learn how to setup Single Sign On. We are very excited to release the multi-select combo box for custom fields. This has been one of the most requested enhancements from our customers. 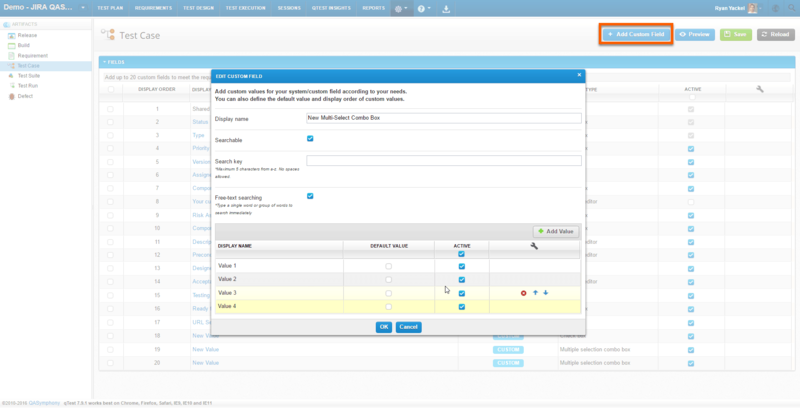 The multi-select combo box allows users to select more than one value for custom fields which can be used for test case organization. For those that leverage our API, we have added a new project ID field in the Administration section of qTest for quick lookups. This provides one central location for all the project IDs needed for API calls without having to go into each individual project. We hope you enjoy all the new features in the qTest 7.9 release. If you have any questions or if you’d like to request a new qTest feature, visit our Support Site.